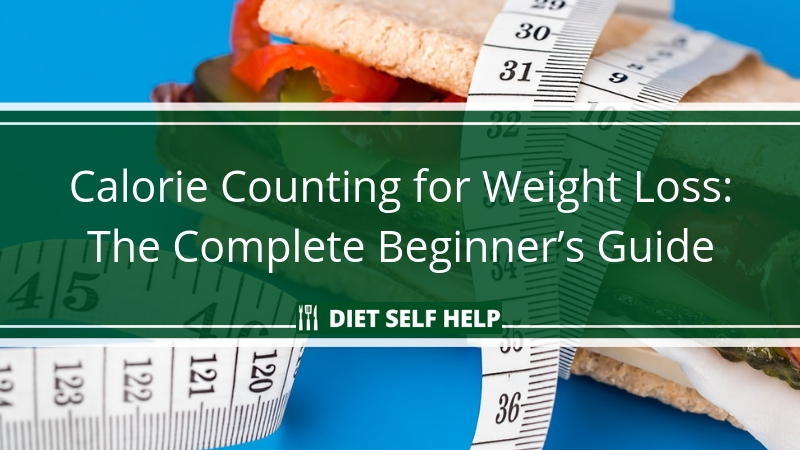 Contrary to popular belief, the goal of Calorie counting is not to lose weight. It is to control weight. That is, Calorie counting can be used to lose weight, maintain weight, or gain weight. Although most people nowadays want to lose weight, there are equally important health benefits for maintaining or gaining weight, depending on your body type. Being able to manage weight is important because it can help you gain a sense of control over your life. But weight loss or gain is not achieved over night; it can take several weeks to change your body composition. Because you may not get bodily feedback on a daily basis, managing body weight can be tough. Further confounding the situation is that your Caloric needs are a moving target, influenced by activity level, hormones, sleep, and a multitude of other factors. But don’t be discouraged. Once you take the time to truly understand the Calorie counting equation (and all of the factors that go into it), you will have the knowledge to gain control over your weight. Sure, you may have figured in today’s elliptical workout in your daily Calorie equation, but did you really take into account all of the other factors that influence how many Calories you burn in one day? This is why Caloric needs can be a moving target! But don’t stress; we will explore each of these factors so that you will know what your Caloric needs are! But first let’s discuss the importance of what kind of Calories you eat. You need more than energy to survive and thrive! Calories are simply a measure of the energy within a food. A simple Calories in/Calories out equation only takes into account energy levels for that day. But did you know that nutritional deficiencies will cause you to have a slower metabolism? That is, if you don’t consume the right types of Calories, you will burn fewer Calories throughout the day, potentially causing you gain or retain unwanted mass. If you want to achieve a healthy body weight (and control over your weight), you must consider nutritional value as well as energy value. ‘Empty Calories’ or Calories that provide nothing more than energy, may be convenient to pop open and eat (like potato chips), but they are not what you need to survive and thrive! In fact, these will slow your metabolism in the long run, and contribute to an unhealthy body weight. You need nutrient-dense Calories! But if your goal is to gain weight, you may think that you can eat any type of Calorie because you need to eat more than you burn. 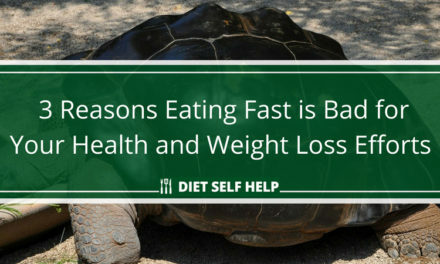 A fast metabolism definitely works in your favor when it comes to being able to eat more of what you want. But even if you are “skinny,” your cells can be sick. That is, if you don’t feed your body the right nutrition, you can wind up with a chronic disease—even if that disease is not obesity! Although our society equates thinness with health, that is not always the case. 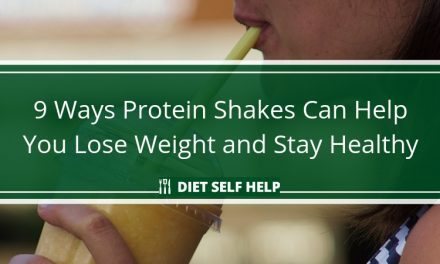 Even if your goal is simply to maintain your current weight, you will improve your health by increasing the amount of nutrient-dense food in your current diet. Instead of consuming empty Calories, consume Calories that are dense with nutrients! Let’s take a closer look at what you should eat when you are counting Calories. Many diet foods are made with the idea that fewer Calories are better. While that is a nice simple rule for Calorie counting, it is not accurate. In fact, if these Calories are empty, they will leave you hungry and unsatisfied. And all hungry and unsatisfied humans tend to graze, amassing more Calories. As renowned science journalist Gary Taubes wrote in his eye-opening bestseller Good Calories, Bad Calories, we’ve been taught since we were children that fat is the devil, and that carbohydrates are better in helping you maintain a healthy weight. Yet his research has found plenty of evidence that many of these carbohydrates actually contain ’empty calories, especially in common staples such as bread. While the number of calories we eat is important, the quality of these calories is even more critical for our weight and health in general. These processed, manufactured diet foods are likely low in healthy fat and high in sugar. Even though current research touts the myriad of health benefits of eating healthy fat, manufacturers are stuck in the past, when fat was considered by many to be bad. Instead, fat has been replaced with processed sugar for taste purposes. And when eaten without the shielding effects of fat, sugar will spike the blood sugar. Over time, this leads to obesity and diabetes. The bottom line is that low-Cal foods aren’t so low-Cal if they leave you unsatisfied and cause you to graze on other things. “Calories in” includes not just the Calories per ounce, but the number of ounces you eat. People who tend to eat high Calorie, nutrient-dense foods may actually consume fewer Calories throughout the entire day than a person who eats a bunch of low-Calorie diet food with empty Calories. Even though fat is a whopping 9 Calories per gram (and simple sugar, complex carbs, and protein are 4 Calories for the same amount), fat is very satiating. That is, you will need to eat less fat than sugar to feel full. Complex carbs full of fiber are also very satiating. Healthy fats and fiber are some of the healthiest diet foods you can eat, even if they don’t have the fewest Calories per gram or ounce. In fact, researchers have found that the medium-chain triglyceride fats found in coconut oil actually promote weight loss! The healthiest people in the world eat fat regularly! When it comes down to “Calories in,” it’s basic arithmetic. Sally eats a 70 Calorie processed granola bar loaded with sugar, still feels hunger, and eats 2 more of the same. Bob drinks one coconut milk smoothie with 200 Calories, and feels full for hours. Sally consumes 210 Calories, while Bob only consumes 200 Calories, and Bob’s Calories are much more nutrient-dense. Now let’s turn to the even more complex “Calories out” side of the equation. This component of the Calorie equation is just as important as “Calories in.” In fact, you may find that you are better able to manage your weight by focusing on the “Calories out” component, because there are many more things you can control without having to sacrifice food intake. Most people who count Calories do a simple calculation for Calories out. Sure, they will admit that it’s an approximation, but they may not know how inaccurate it is. Turns out, anything that is considered “basic” when it comes to calculating “Calories out” is likely to be very inaccurate. In this equation, basal metabolic rate is an approximation of how many Calories you would burn per day if you just laid there and did nothing else. Daily activity is usually simplified to just Calories burned during exercise. Most people only figure in age and gender when calculating basal metabolic rate (BMR). For instance, men tend to have a higher BMR than women, and young people have a higher BMR than older people. But this is a far too simplified way of thinking about BMR. If you are inaccurately calculating your BMR, you may have an unrealistic view of your daily Caloric needs. This could be preventing you from gaining control over your weight. If you chronically get too little sleep at night, you will most likely have a slower metabolism than your peers that sleep a full 8 hours. In addition, if you do not sleep in line with your circadian rhythm (i.e. you sleep during the day instead of at night), you may have a slower metabolism, causing you to burn fewer Calories throughout the day. Sleep is highly important to healthy metabolic processes. While it’s good to spend time exercising, make sure you also get enough sleep to keep your body balanced. If a high proportion of your body composition is muscle, you will naturally burn more Calories than those who do not have as much muscle mass. Even if you have never worked out a day in your life, but you were simply born with muscle (jealous! ), you will burn more Calories throughout the day. People with a larger body size will have a higher BMR because the metabolism has to work faster in order to regulate temperature throughout the body. If you have an underactive thyroid that is causing a hormone deficiency in the bloodstream (called Hypothyroidism), you will have a slower metabolism than your peers with a healthy thyroid. In addition, teenagers with raging hormones have a higher BMR. Women who are menstruating or pregnant have a higher BMR. If you are more active day in and day out, you will not just reap the “Calorie out” rewards that day; you will burn more Calories on a daily basis, even if you skip your exercise routine every now and then. Active people have a much higher BMR. Stress has an interesting relationship with BMR. In the short term, stress may increase BMR because your body speeds up its metabolic processes to fight or flee from the “tiger.” But in the long term, stress is damaging. It lowers BMR substantially, causing weight gain and fatigue. 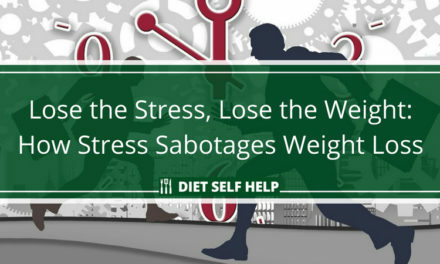 In addition, high levels of chronic stress can trigger stress eating. Always work to manage chronic stress with stress reduction techniques. This will help you manage your weight! In fact, there are anecdotal cases of people losing weight simply by doing a regular deep breathing routine, which calms the nervous system and relaxes the mind and body. Of course, too much calorie cutting can also increase your body’s stress levels, so make sure you are gradually lowering your calorie intake instead of drastically cutting it all at once. Otherwise, your body will react negatively and may end up trying to ‘preserve’ itself by slowing down your metabolism. When it comes down to it, no matter what you do, you can’t change your genetics. If your family tends to run on the large side, you need to acknowledge this and recognize that you may have to work harder than others to remain in control of your weight. Of course, genes interact with the environment and lifestyle choices, so your genes are not your destiny! Just recognize you may have a genetic predisposition to obesity, and focus on lifestyle modifications that you can control! The effect of medication on BMR depends on the type of medication you take. Some speed up the metabolic rate (increasing BMR), but many meds work to slow it down (decreasing BMR). Talk to your doctor about how your medications may affect your BR. During periods of intense cold and sweltering heat, you will burn more Calories in order to maintain a consistent body temperature. If counting Calories is causing you to be deficient in certain nutrients, these nutritional deficiencies will lower your BMR. So Calorie counting may actually be doing your more harm than good if you do not get the daily recommended intake of nutrients. This is why eating nutrient-dense foods is of the utmost importance. When you restrict Calories, you have no room in your limited budget for empty Calories. Remember BMR does not change from day to day. It takes weeks to change body composition and metabolic rate (BMR). That is why a healthy, active lifestyle (rather than a sedentary lifestyle with bursts of nutrition and exercise every now and then) is important for managing your weight. The best way to ensure long term, positive changes in BMR is to engage in daily activity. Daily activity does not simply include your 20 minute exercise routine. Your movement and activity throughout the rest of the day matter too. You may be surprised to learn just how easy it can be to increase your “Calories out” through simple activities that you can do at home or work! Getting more exercise (or simply standing up more) can help you burn off more calories. You can burn around 10 Calories more per hour by standing instead of sitting. This doesn’t sound like much, but over the course of the work day, that’s almost 100 more Calories that you don’t need to work off at the gym! You may not think you have time to get up from your desk and unglue yourself form your projects, but during a five minute walk, you will burn about 25 Calories! If you walk for five minutes every hour, you will have burned about 200 Calories over the course of the work day! Not to mention that your metabolic rate will start to increase, so you will burn more Calories during the 55 minutes per hour of sitting. And after you walk, you will come back to your desk more refreshed and productive. Walk up 12 steps, and you have already burned around 5 Calories! If you work on the 5th floor, this is a chance for some serious Calorie burning before, during, and after work. You can even walk some flights of stairs during your lunch break if you are feeling ambitious! Many dog owners stand and watch their dog exercise at the dog park. Instead, have your dog come with you as you get some exercise yourself. You can even race your dog to the tennis ball if you want to see who is more athletic. Going to the mall? Take an extra lap. Running an errand? Park far from the store. There are many ways that you can sneak exercise into a hectic life—even without a gym membership! It can be difficult to take all of these factors into consideration to calculate Caloric needs and Calories burned. 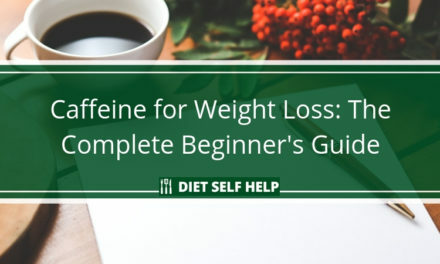 Instead of eating diet foods and logging Calories, you may have more success substituting fiber and other nutrient-dense foods for less filling foods, substituting exercise for a sedentary life, and substituting bodily awareness for a Calorie log. But that’s completely up to you. Many people have found that an awareness of Calories, a prioritization of nutrition, and a low-impact exercise regimen is all they need to control their weight. Consider stepping away from the log for a time and see what happens! When it comes to learning to control your weight, you must try to find a way to integrate it into your lifestyle. Otherwise, you might do it for a while and then fall off the train! When it comes to “Calories in,” focus on nutrient-dense foods, such as fiber, whole grains, and green leafy vegetables. Eating these foods will prevent nutrient deficiencies that can reduce BMR and impact the “Calories out” component. When it comes to “Calories out,” you may never be able to calculate your exact BMR, but you surely can listen to your body and eat when it’s hungry and not eat when it’s not. Cultivate an awareness of (not a preoccupation with) Calories, but also develop an understanding of the importance of what’s in the Calories (nutritional value).